1. 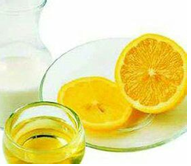 Dry throat and hoarse voice: drink light salt brine; take Li Gao; drink tangerine sugar tea. 2. Swelling and pain in throat: eat pear. 3. Blisters in mouth: take some pieces of ginger, which can remove the blisters. 4. Chapped lips: drink the juice of cucumber and kiwi. 5. Dry hair: eat soup of candied date and walnut. 6. Other ways to remove internal heat: eat grapefruit and drink mung bean soup.